A breakthrough in drive technology, the VLT® AutomationDrive FC 302 will be embedded with predictive and condition-based maintenance functionality. The new functions, demonstrated at the recent SPS IPC Drives 2017 exhibition, allow you to use the drive as a smart sensor to monitor the condition of your motor and application, to detect early issues, and to find solutions before they have an impact on the process. The VLT® AutomationDrive FC 302 will feature functions such as motor stator winding condition monitoring, mechanical-vibration monitoring and load-envelope monitoring. You can set various thresholds and automatically or manually determine the baseline for monitoring with different methods and according to relevant standards and guidelines, such as the ISO 13373 standard for Condition Monitoring and Diagnostics of Machines or the VDMA 24582 guideline for condition monitoring. The condition-monitoring functions being embedded in the drive is a unique feature. It means that the drive can perform these functions without needing a connection to the cloud or to a PLC. However, the VLT® AutomationDrive is capable of cloud connectivity, and the condition monitoring data can be pushed to the cloud. This enables you to monitor a large number of conditions (such as stator winding insulation or the vibration level of the application) at plant level, or to perform in-depth cloud analytics. Motor-winding failures do not occur suddenly; they develop over time. They start with a small single-turn short-circuit fault which causes additional heating. The damage then spreads to a level where the overcurrent protection is activated and the operation is stopped, causing unwanted downtime. The unique Danfoss Drives winding condition monitoring function will allow you to shift from corrective maintenance of faulty motors to detecting motor isolation faults at an early stage and dealing with them during scheduled maintenance. In this way, unwanted and potentially costly machine downtime caused by ‘burned’ motors can be avoided. The accelerated wearing out of mechanical parts of a drive system can be avoided by using the VLT® AutomationDrive together with a sensor – an external vibration transducer – to monitor the vibration level in a motor or application. The available functions are baseline measurement, broadband trending, vibration during acceleration and deceleration and transient-vibration trending. Vibration monitoring is performed using standardized methods and threshold levels given in standards such as ISO13373 for Condition Monitoring and Diagnostics of Machines or ISO10816/20816 for Measurement and Classification of Mechanical Vibration. The advantage of performing this kind of monitoring in the drive is the possibility to correlate data with the actual operating conditions, such as steady-state running/ramping, load condition or speed. By comparing the actual load curve to the initial values determined during commissioning, the VLT® AutomationDrive allows you to detect unexpected operating conditions, for example leakage in an HVAC system. Other instances of issues in applications include pumps which have become fouled or sanded, or fans where the air filters have become clogged. When a part has worn out, the load curve changes compared to the initial baseline, and a maintenance warning is triggered allowing you to quickly and effectively remedy the issue. This can also help you to save energy by keeping the equipment running in optimal conditions. 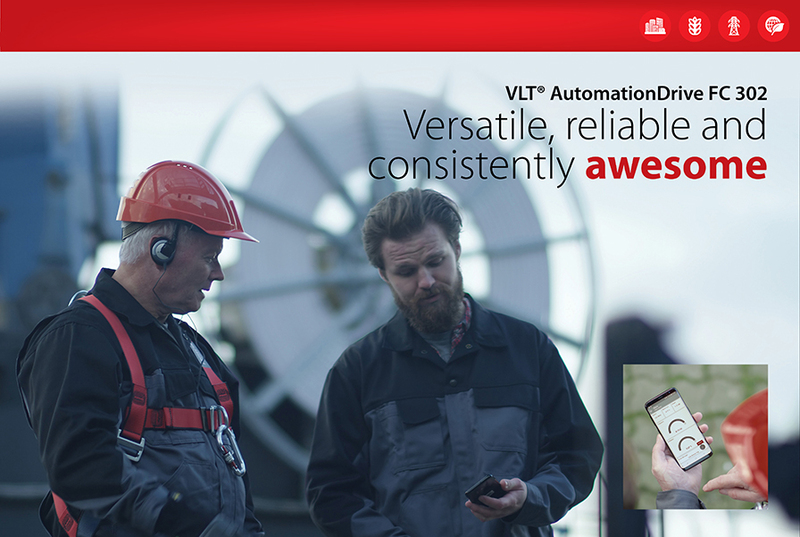 You can read more about the enhanced VLT® AutomationDrive on our website. And if you would like further information about predictive or condition-based maintenance, don’t hesitate to leave a comment in the box below. We’re here to help.